This year, along with our sister publication, Highways, we have reported on the aftermath of a number of fatal incidents on our transport network, often in the form of recommendations from coroners that aim to learn from such incidents and avoid them being repeated. It has become apparent however that recipients of what are now called Regulation 28 reports to prevent future deaths cannot be compelled to follow the recommendations they contain, although they are at least required to explain why they are not doing so. Is this the way it should be? There are two ways of looking at it. The first is that if a public official, whose job involves learning from incidents that have led to a loss of life, has studied such an incident and drawn out the lessons to be learned, that should be respected. The second, which does not exclude the first, is that coroners are not experts in transport or the other subjects relevant to sudden deaths and that their recommendations should be seen as such by those who are experts in those fields. What can sometimes complicate the tension between these arguments is that what may be required ‘to prevent future deaths’ may not, even if such a thing were possible, be deliverable without disproportionate cost or disruption. As Transport Network has reported, two coroners have written to Transport for London (TfL) as part of the inquest into the death of motorcyclist Milan Dokic, who lost his life last year after his bike skidded on an unsegregated, blue section of cycle superhighway (CSH) that had reduced grip ‘compared to the usual road surface’. 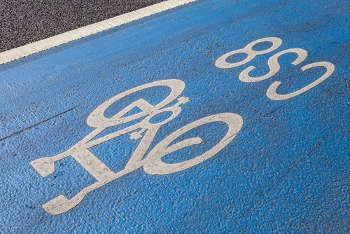 Dr Fiona Wilcox told TfL that the use of such surfacing ‘represents a hazard to road users [and] may be widespread’. She said TfL ‘should therefore undertake an urgent review of all such road surfaces and replace it with a higher grip surface’. The scale of what this could require may go some way to explain why, as Transport Network has reported, TfL has appeared reluctant to follow it. While Dr Wilcox was quite clear that, in her view, the difference in grip presented the hazard, TfL responded by arguing that the spot at which Mr Dokic lost traction had adequate grip. It also resurfaced two CSHs that had deteriorated since they were built. Tellingly, it pointed out that newer CSHs are substantially segregated from the main carriageway. Following an inquest verdict that found Mr Dokic’s death had been ‘accidental’ but ‘contributed to by neglect’, assistant coroner Russell Caller wrote a further Regulation 28 report in which he called for ‘urgent research…into the adverse effects of having adjacent areas of road with very different grip values’, and any remedial response indicated by such research. Asked by Transport Network how it would respond to this recommendation, TfL said it was ‘not aware’ of transport research body TRL ‘finding anything to indicate that different skid resistances across a lane has a significant impact on vehicles’ ability to brake and manoeuvre on roads with appropriate grip at normal speeds’. This response was somewhat undermined when TRL said it had ‘conducted little physical testing in the area of differential friction’, that the relevant literature was limited and that the issue was ‘worth further investigation’. The case of the death of 83-year-old cyclist Roger Hamer also raised questions about the importance of a safe surface to road users on two wheels. In this case, however, Bury Council appears to have acted on the issues raised by the coroner. The inquest jury found that Mr Hamer ‘had probably been caused to fall from his bicycle and to suffer the injuries from which he died by a pothole in the carriageway’. In his Regulation 28 report, coroner Peter Sigee raised concerns about both the issues that had caused the pothole to expand rather than be repaired and the council’s plan to adopt a new highway management procedure, ‘apparently based upon Well-Managed Highway Infrastructure’, the new code of guidance. The council still operates from the old code of practice but under what it said was a ‘risk-based’ approach based on the new code, the intervention level of 40mm would become an investigation level. Mr Sigee acknowledged that this would still give inspectors discretion but said he considered that the new approach ‘will increase the risk of future deaths, in particular to cyclists’. Bury has told Transport Network that it now aims to bring a new inspection and repair policy, that will comply with a new Greater Manchester framework document that is itself based on the new code of practice. Welcome though this is, it may not solve the fundamental problem, which is that a coroner appears to believe that the move to a more planned, less reactive and more discretionary approach to pothole repair, encouraged by the Government and widely supported across the sector, may result in more road users losing their lives. Steven Conway, a solicitor from Keystone Law who specialises in acting for local authorities, thinks the case ‘will undoubtedly cause unease amongst councillors being asked to approve new highways policies’. Mr Conway added: ‘The fact is however that highways inspectors have always had an overriding discretion to identify defects that are dangerous, whatever their dimensions and irrespective of what is set out in a council’s highways policy. 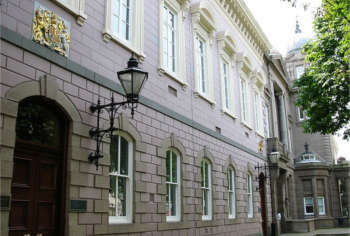 Transport Network has also reported the sensitive case of toddler Clinton Pringle, who was hit by a van on a road in St Helier, Jersey described as ‘shared space’ by the local authority. The coroner in that case has said that while he was pleased to hear of changes to the road being planned, he would still write to the local authority and other highways agencies to suggest that work needs to be done to prevent future deaths. This case, like the Bury case, could have implications for authorities beyond the area where it occurred. What is the legal position in relation to Regulation 28 reports and what should it be? While Regulation 28 (of the Coroners (Investigations) Regulations 2013) imposes a duty on a coroner to make a report to encourage changes that may prevent other deaths, recipients of such reports are only obliged to respond to them albeit setting out what action has or will be taken or ‘why no action is proposed’. Mr Conway thinks it is ‘entirely right’ that coroners should raise concerns where they believe that circumstances exist that can give rise to the risk of death and that bodies who may have the power to take action to prevent the occurrence of such circumstances should be required to report back on what they have done or intend to do. He points out that while a coroner cannot oblige anyone to take action, any recipient of a Regulation 28 report who does not believe that action should be taken is required to explain why, adding that with both the report and any response likely to be made public ‘any person or organisation who fails to take appropriate action without good reason is likely to face criticism’. As readers may have noticed, at Transport Network we believe that such public scrutiny is strongly in the public interest and that questions of what action might be appropriate and whether there are good reasons for not taking action need to be thoroughly aired.